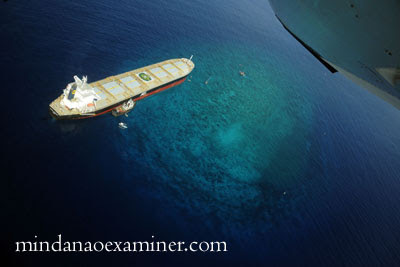 SARANGANI, Philippines (Mindanao Examiner / May 12, 2011) – Philippine officials were worried over possible oil spill at sea from a Panamanian cargo ship which hit a coral reef off Sarangani province in the southern region of Mindanao. The Panamanian ship MV Double Prosperity struck the reef, about 2.5 nautical miles off Kiamba town on Sunday and its Filipino Captain Danilo Santa Ana blamed error in the navigation that led to the accident. 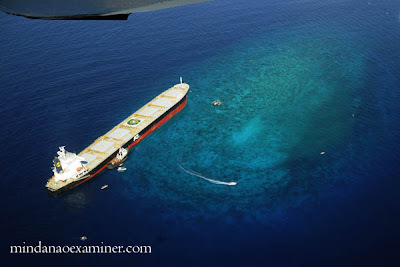 Provincial Governor Miguel Rene Dominguez said the ship which is carrying 65 tons of coal hit the Bakud Reef, part of a protected seascape. He said he has notified the owner of the vessel, Yano Kaiun Co. Ltd. of Japan, to discuss the liabilities of Double Prosperity. “As time is of the essence, please inform us the soonest of your response to this letter and send your authorized agent on May 16, 2011 in Sarangani Province, otherwise we shall consider your silence and inaction as waiver on your part to discuss our claims and we shall be forced to attach your vessel to answer for the financial liabilities to our marine environment,” Dominguez said in a letter to the ship owner. 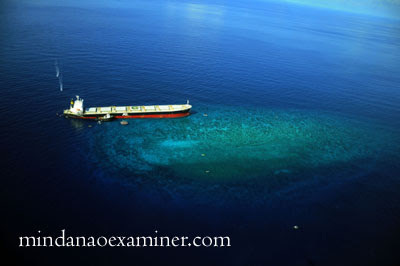 The ship, which came from Australia, was on its way to India when it ran aground. The ship’s 3rd Mate Robert Ortega Cepe admitted that he did not notice the shallow area of Bakud Reef that caused the vessel to run aground.